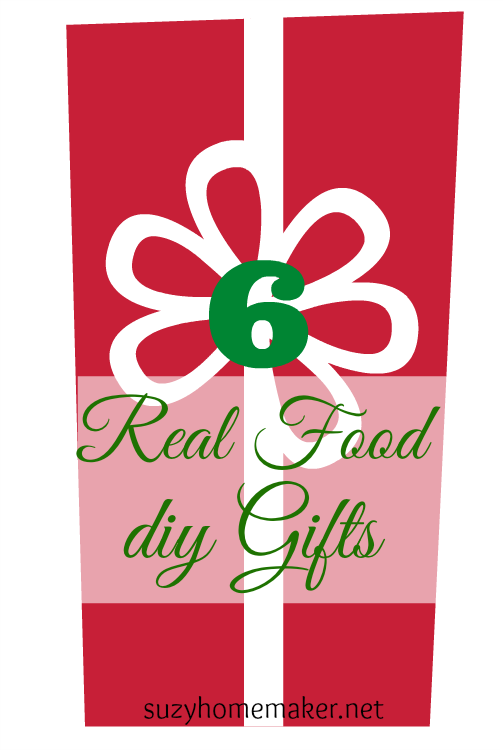 Another day, another list of real food gifts. 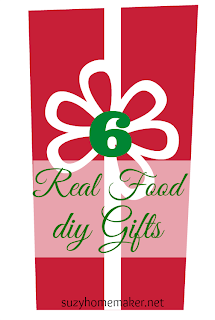 If you missed it, I made a list of 12 stocking stuffers to give to a real foodie. This list is all DIY gifts. Things you can make easily and inexpensively. Vanilla extract - Although this will not be ready right away, you can still give it as a gift and let the recipient know when it will be ready to use. Hot chocolate mix - This mix has all real food ingredients. Nothing scary or over-processed. Gingerbread spice mix - Gingerbread just seems Christmas-y to me. Homemade magic shell - Who know what ingredients are lurking in the store-bought kind. Why bother when it is super simple to make your own. Did I forget any? Leave your ideas in the comments!